Artist Mike Nelson has created a display of around 100 monuments from a “long gone era”, which he has called The Asset Strippers. He sourced the objects, which also include woodwork stripped from a former Army barracks and doors from an NHS hospital, from salvage yards and online asset strippers before assembling many of them on plinths. 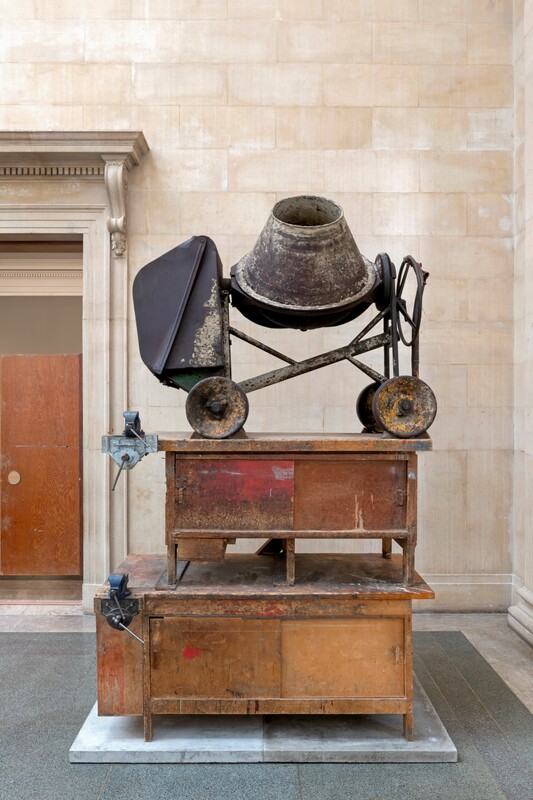 They are on display at Tate Britain’s Duveen Galleries, the first-purpose built sculpture galleries in England. Former Turner Prize nominee Nelson said the display “presents us with a vision of artefacts cannibalised from the last days of the industrial era in place of the treasures of empire that would normally adorn such halls”. Curators described the objects as “works of art in themselves”, saying they also point to “the decline of British industry, infrastructure and the welfare state”. The annual commission sees artists create a work in response to the architecture of the Duveen Galleries. Last year, Anthea Hamilton’s work featured a single performer, dressed in “a colourful squash-like costume”, who moved around a space covered in more than 7,000 white tiles. Mike Nelson: The Asset Strippers, supported by Sotheby’s, runs from March 18 to October 6 at Tate Britain’s Duveen Galleries.